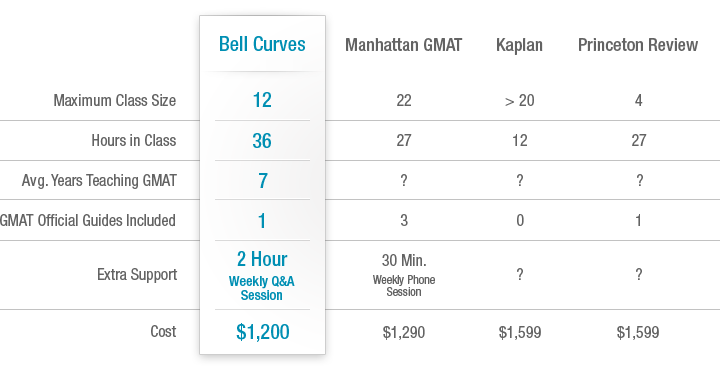 Learn everything you need to know for the GMAT with a Bell Curves course! Express courses focus on the tools and strategies to boost your score quickly. Classic courses combine in-depth content review and flexible question strategies. Not sure which option is best for you? Try our GMAT Prep Advisor to help narrow your options. How does Bell Curves stack up to the competition?